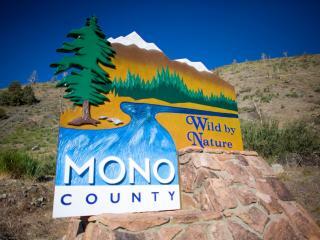 Mono County is a vacation destination that's wild and varied by nature - and full of adventure. Best of all, this natural playground is matched with a complete range of amenities and activities making it an ideal place to get away from it all. Get wild in your own way, whether it&apos;s taking in the sunlight on an alpine lake or biking down a mountain trail. Enjoy an array of fine restaurants and cafes, or savor fresh trout prepared over a campfire. Explore nearby Yosemite National Park, poke around a ghost town or take a guided trip on a horseback into the wilderness. Ski and snowboard some of the best terrain in the country, spend the day fishing, hike to a secluded lake or take advantage of nature&apos;s best photo opportunities. Go shopping, bird watching or 4WD touring. Join the crowd at an annual arts festival or exciting sporting event, or quietly paddle a kayak along the shore of an ancient inland sea. You&apos;ll find fun and adventure for the entire family!